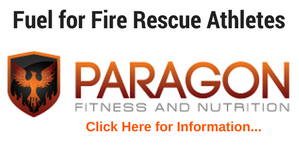 Essential Components of a Fire Rescue Fitness Program….revisited. This is a re-post of one of my more popular articles that needs to be emphasized. Without proper planning, your fitness program may actually be setting you up for failure. Read the article below…how does your current fitness program measure up? This blog topic is one near and dear to my heart and your career–Workouts for Fire Rescue Athletes. Over the last couple of months I’ve been writing about some of the more popular workouts seen in firehouses across the world. You can read about them here and here or listen to a great radio interview about this topic HERE. I’ve received a ton of feedback about those articles both good and bad. One thing I have not done yet is to answer the highly debated question….”What is the best workout for Firefighters, EMTs and Paramedics (Fire Rescue Athletes)? 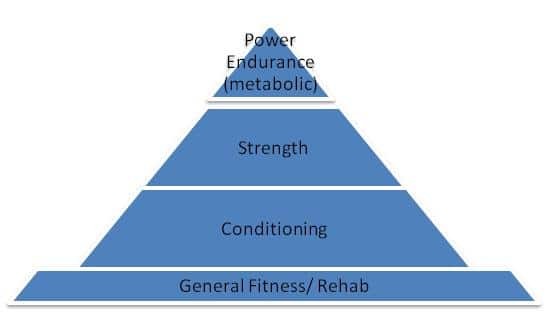 More importantly what are the components of the best Fire Rescue Athlete Workouts? Without further delay, here is my answer (drum roll please)…. There is no single perfect program for every fire rescue athlete (there is one that is close though… read below). We all know we work in very uncertain situations and circumstances so we have to be ready for almost anything and no single workout program can prepare you for that. 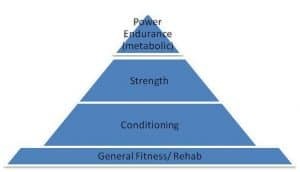 There are some common components though that every fire rescue athlete should think about when evaluating a workout program. 1. The program must be planned using sound periodization and science. Training should follow a developmental approach or progression. This means there should be a hierarchy of training. First, it is essential for the fire rescue athlete to develop a training base that should increase the body’s functional capacity. Once this is accomplished, the intensity of the exercise is increased to emphasize strength and muscular development. In more general terms, we can also say we develop stability, then strength, and finally power. Regardless of what the training program looks like, it cannot violate this developmental approach. This is one variable that CrossFit does not do, people are getting injured from performing too many presses or pulls or jumps without having a sound base. 2. The program MUST place a large amount of focus on Core Strength and Balance. During the course of their career, almost 50% of all fire rescue athletes will hurt their back while on duty. 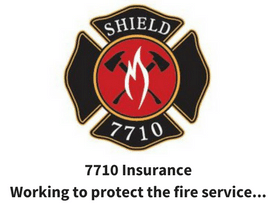 Low back pain is the number one reason firefighters retire early. In order for a program to be effective, it must utilize exercises that focus on the developing the glutes, shoulder girdle, hamstrings, hips and abs. Notice that I didn’t say anything about a “six pack” of abs. That is one of the cons of P90X; the program is more concerned about beach muscle than core strength. 3. The program needs to focus on cardiovascular conditioning and recovery. 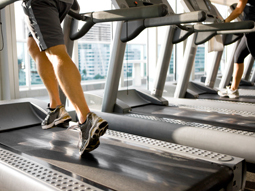 When you think of cardiovascular conditioning most people think of running or biking, which in most cases emphasizes aerobic conditioning. Fire Rescue athletes need to have a good level of aerobic fitness but cannot overlook the value of challenging the anaerobic systems. If you’ve ever humped a “charged” hose line up some stairs or dragged a victim or axed a roof open you realized the importance of anaerobic fitness. An effective Fire Rescue fitness program will set a good cardiovascular base then challenge the cardiovascular system with intervals. Intervals are one of the best ways to simulate the high level of fitness required on the fire ground (click here for a great interval program). 4. 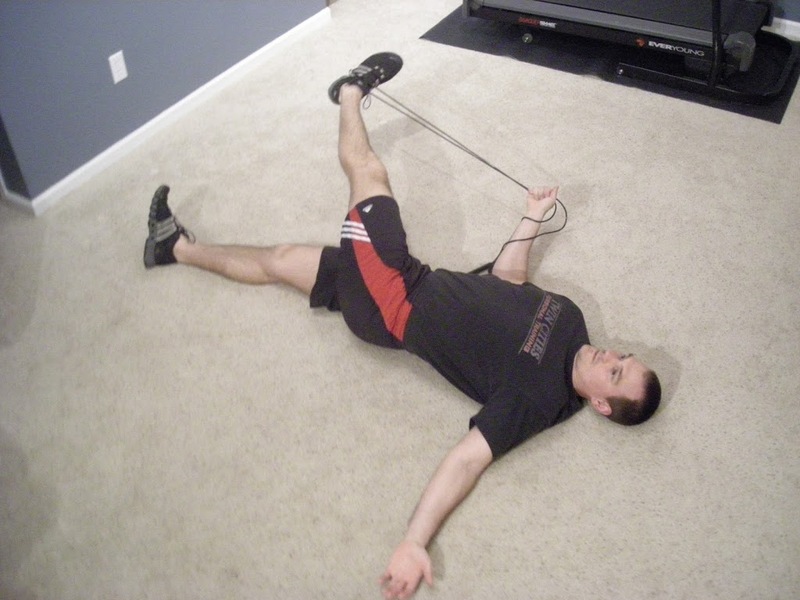 The program must (at some point) contain full-body functional strength exercises. Functional strength exercises increase balance around the joints and helps prevent injuries by stimulating stabilizing muscles. Functional training is in essence is a full-body approach to core training and are effective in athletic injury rehab and prevention. Functional strength movements like the push-up, goblet squat, lunge, pull-up strengthen all joints of the body in numerous planes. 5. Programs must include an Active warm-up and flexibility training. The warm-ups prepare the body for movement, boosts heart rate, blood flow to the muscles, and core temperature. These movements also improve the function of your nervous system. Think of this component as taking a few minutes to warm-up a car that has been sitting outside in cold temperatures all night. The main goal of this the active warm-up and flexibility component is to improve the long-term mobility and flexibility of your muscles. The more flexible the muscle and joint around the muscle; the better the fire rescue athlete recovers and the less chance of injury. This is not an all encompassing list but it will definitely give you enough information to help decide if a program has what it takes to be effective for the fire rescue athlete. Take a look at your current program and see if it contains these components? 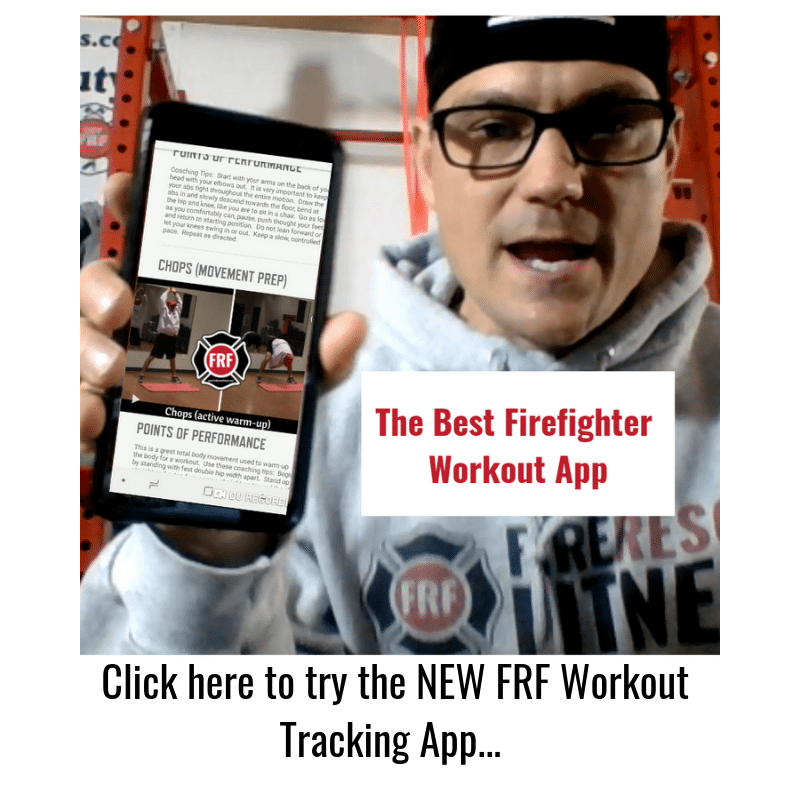 CLICK HERE to get a Fire Rescue Fitness Workout that does.